The illusive "Notice of Exemption". 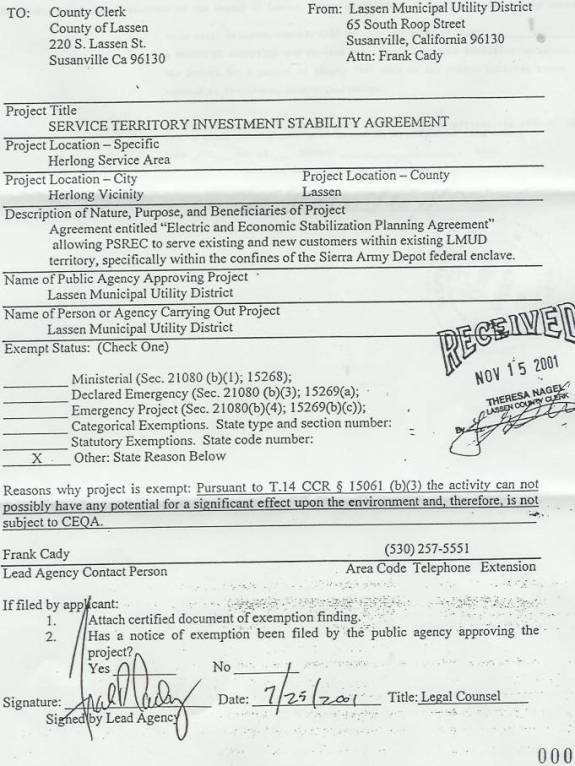 The CPUC determined, from this document, that no public hearing was required to review this transfer of customers from LMUD to PSREC. LMUD did not disclose any procedures, to the public, in regards to this transfer of customers. NONE ?